All employees have the right to a safe workplace. Regardless of whether a company has six employees or 600, employers have an obligation to exercise reasonable caution regarding potential workplace hazards. If you do sustain an injury while you’re on the job, you have the right to contact an accident attorney. 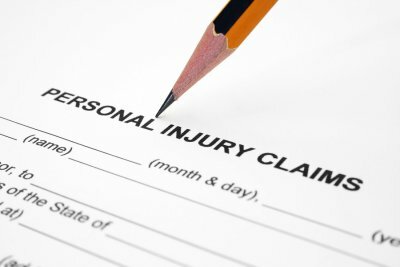 An accident lawyer in Baltimore can file a temporary or permanent disability claim on your behalf. Your accident lawyer can also investigate the incident to determine whether your employer may have been neglecting basic safety protocols. Every workplace has potential hazards. It’s the responsibility of the employer to assess what those hazards are. Some potential causes of injuries are common to most workplaces, such as slippery or cluttered floors that may lead to a fall. Others are specific to certain industries, such as the possibility of sharps injuries at a hospital or exposure to toxic chemicals at a manufacturing plant. To promote a safe work environment, employers may need to periodically assess new hazards and update safety procedures. Another characteristic of a safe work environment is that the company encourages a proactive stance toward preventing injuries. An accident attorney may evaluate whether an employer has measures in place to prevent unqualified and improperly trained employees from performing dangerous jobs. All new employees should receive adequate training regarding safety procedures. They should be able to identify possible hazards and to know how to respond appropriately. Employees may need to undergo periodic training programs to refresh their knowledge and skills. These may include emergency preparedness drills. 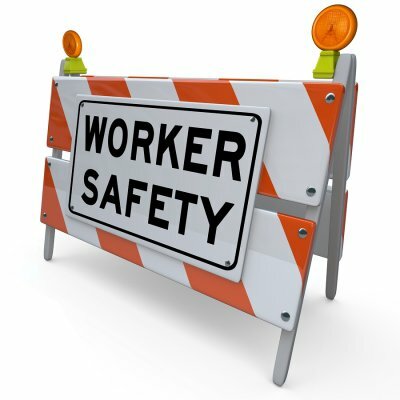 Additionally, employers should take a proactive approach toward equipment safety. Heavy machinery may need to be serviced on a regular basis and checked for possible malfunctions. Employers have the responsibility to ensure that each employee is properly equipped with protective gear and is compliant in using it. Regardless of the precautions a company takes to promote a safe work environment, accidents can still occur. It’s essential for human resource departments to make reporting procedures accessible for employees. Additionally, employees should be encouraged to report any potential hazards they notice in the workplace. You may have heard that in criminal law, there are time periods within which a prosecutor might bring charges against a defendant for any particular crime. These time periods are known as statutes of limitations. The same principle applies to personal injury cases. Since there is a deadline to file a personal injury claim, it’s best to go to a personal injury law firm located in Baltimore as soon as possible after the incident occurred. Doing so will preserve your legal right to have a personal injury attorney help you seek justice. In many states, the statute of limitations for personal injury cases is set at two years. However, Maryland allows most civil tort cases to be filed no later than three years from the start of the time period. In some cases, the deadline is shortened to one year. This applies to allegations of intentional personal injury, such as assault, rather than damages caused by negligence. If you do not act within this time period, you may forfeit your right to have a personal injury attorney file a claim on your behalf. One step your personal injury lawyer will take is to determine when the statute of limitations for your case should have begun. In most cases, the statute of limitations logically begins from the date of the incident. For example, if you were struck by a car on January 1, 2016, the statute of limitations would begin on that date and run for three years before expiring. However, plaintiffs in personal injury cases do not always identify their losses on the same day during which they occurred. For instance, you may have slipped and fallen on someone else’s property. You may have thought you were fine initially, but then later you developed symptoms of a concussion. It is possible that the statute of limitations would begin on the date that you could reasonably expect to know that your symptoms were caused by the incident. However, it’s always best to consult an attorney at law sooner, rather than later, given that personal injury cases can take time to build. If you’ve been hurt while on the job, a workers’ compensation attorney can help you obtain the compensation you’re entitled to receive. Your workers’ compensation law firm serving Baltimore may file a temporary or permanent disability claim on your behalf, depending on the results of your medical examination. Whether or not your disability is expected to be permanent directly influences the amount of compensation you might receive. For instance, as your workers’ compensation attorney can advise you, you may receive up to two-thirds of your average weekly wages while you are on temporary total disability. However, this compensation is subject to a maximum limit of 100 percent of the average weekly wage in Maryland. 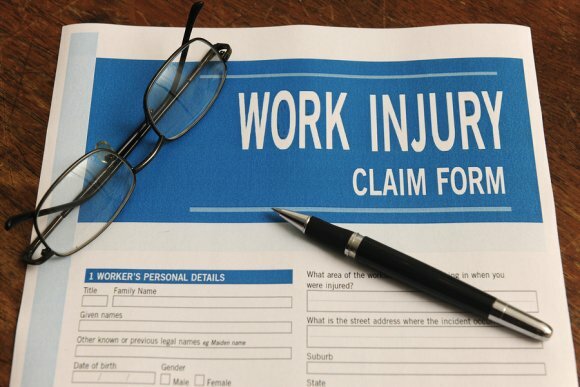 If your workers’ compensation lawyer files a claim for a temporary partial disability, it means that you can still perform some work duties and so your compensation will be adjusted accordingly. For a permanent total disability, Maryland workers may receive two-thirds of their average weekly pay, subject to the maximum limit of the state’s average weekly wage. After a car accident, you may decide to speak with an attorney at law at a personal injury law firm located in Baltimore. The car accident attorney will need to know about all of the injuries you sustained in the crash . Head trauma is particularly common among car accident victims. A concussion can be indicated by blurry vision, dizziness, vomiting, and headaches. Additionally, concussions may cause loss of consciousness, memory loss, and impaired concentration. You can hear more about these and other symptoms when you watch this video. This video urges viewers to seek medical attention promptly upon noticing any of the signs of a concussion. It also warns patients against taking over-the-counter pain relievers if a concussion may have occurred, since these may increase the risk of bleeding. While you recover from a concussion, your accident attorney may advise you to keep track of your lost wages. In addition to helping you recover compensation for your medical bills, the accident lawyer can help you seek compensation for lost work days.